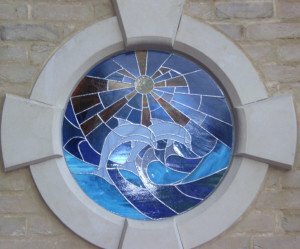 I created this pair of panels as a special commission to fit into an unusual double-porthole opening in an internal wall. 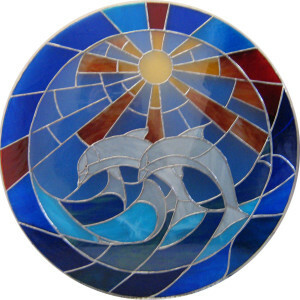 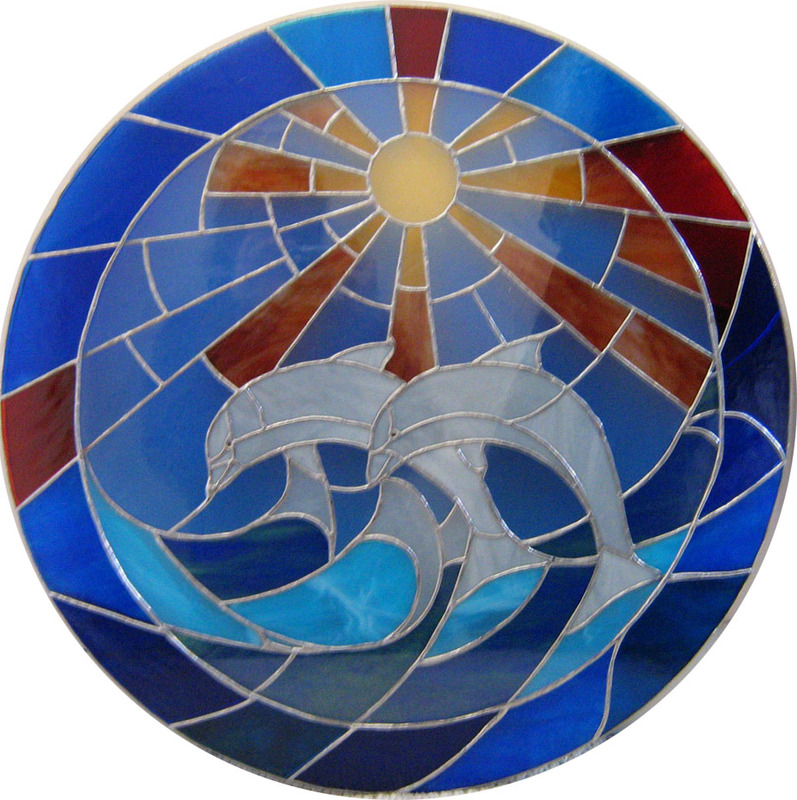 One panel has the main dolphin design, in a variety of patterned glasses in blue, turquoise, blue-green and flame-orange. The other panel fits in front of the main panel and consists of a central piece of clear watery glass with a border in vivid shades of blue, turquoise, red and orange. 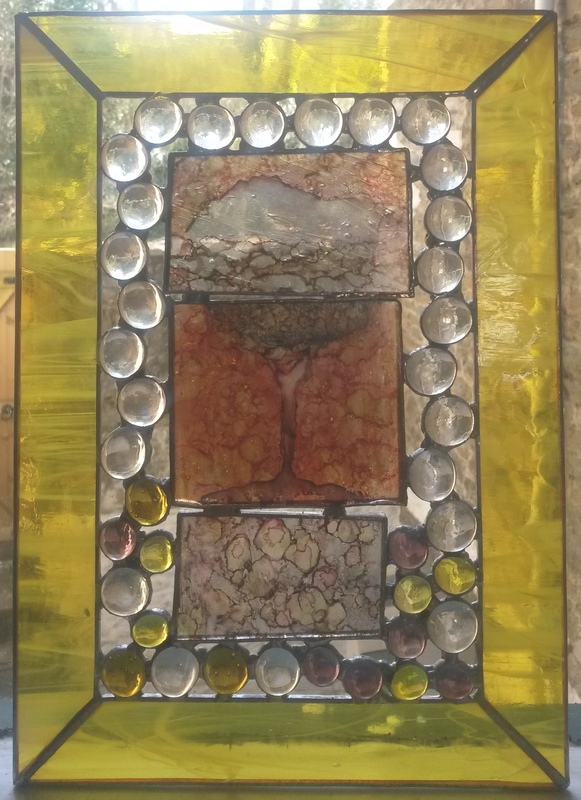 Diameter: 61cm.